Designing your beach house is a fairly easy and rewarding process. With just a few simple tips, you'll be able to create an area perfect for relaxing summer getaways. The beach is the best place to relax, unwind, and recover from the chaos of daily life. It doesn’t matter if you’re a West Coast surfer, an Atlantic beachcomber, or a Gulf of Mexico stingray shuffler, that euphoric mixture of sand and saltwater is like music to the soul. But before you jump into your bathing suit and break open that bottle of vino at your own beach home, consider your space. 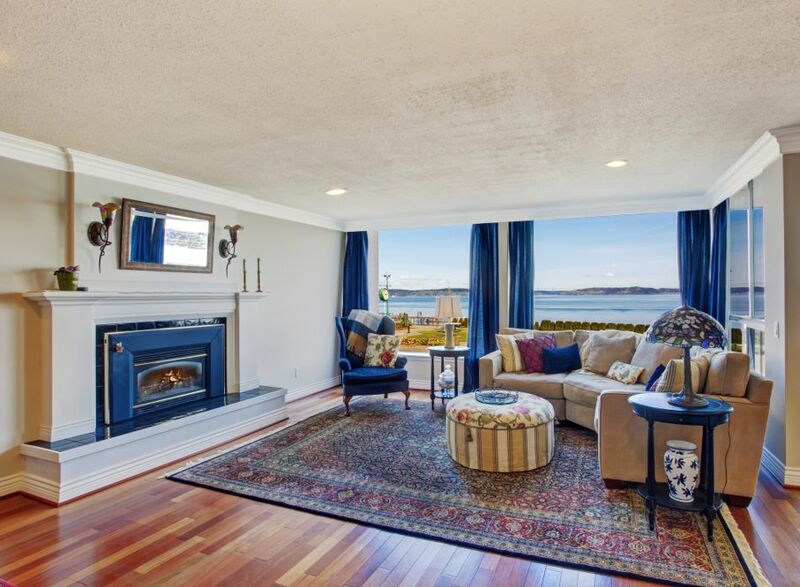 Is your beach house living up to its potential? If not, follow these six tips to get the most out of your ocean oasis and create the perfect beach house. Especially if you are beachfront, or close to it, a proper view is vital. Avoid thick curtains at all costs because they’ll make your space feel cluttered and block any view you may have. Homeowners who feel the need to put up curtains should consider light-colored linen valances or sheer curtains. 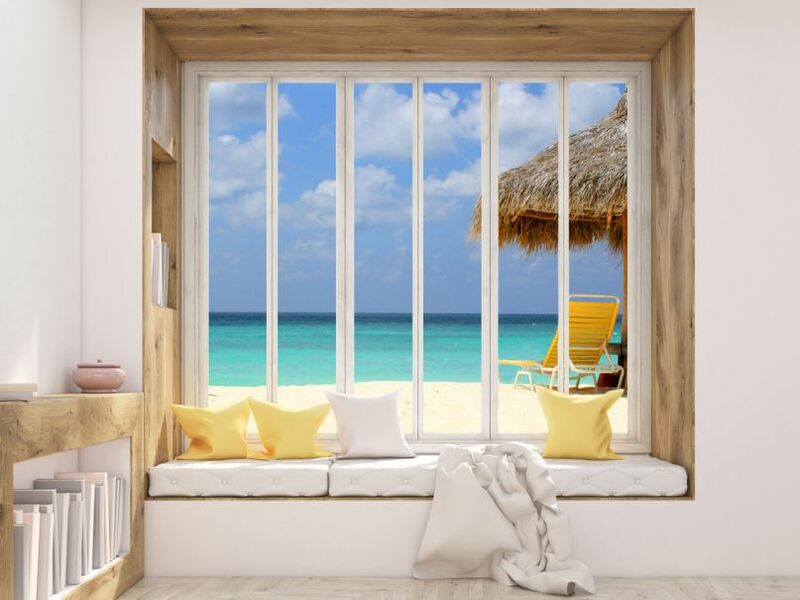 When sun exposure is an issue, or if you notice an uncomfortable greenhouse effect, opt for plantation shutters or quality 2-inch white wood blinds. That way, you can easily adjust the sunlight any time of the day. 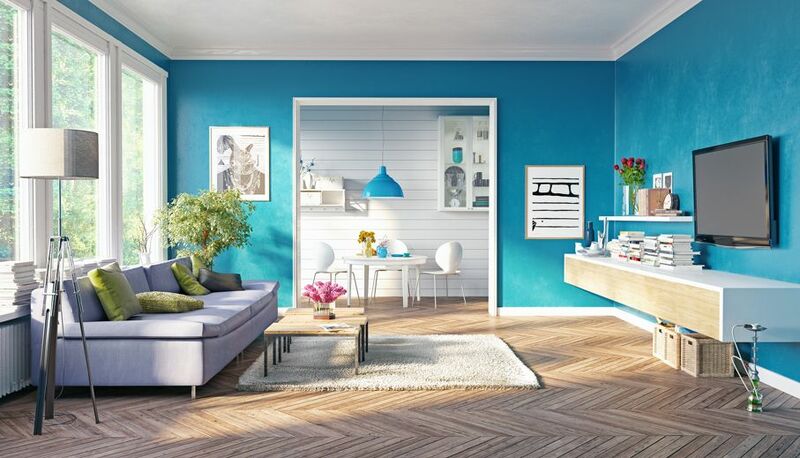 There’s a reason why so many beach homes feature blue hues: It’s the perfect color for any oceanside home. Of course, you can’t go wrong with bright splashes of color here and there, but it’s best to balance all that turquoise and seafoam blue with neutral tones of white and ivory. The contrast is highly appealing and relaxing. All the best beach homes I’ve been to have one thing in common: ample seating. 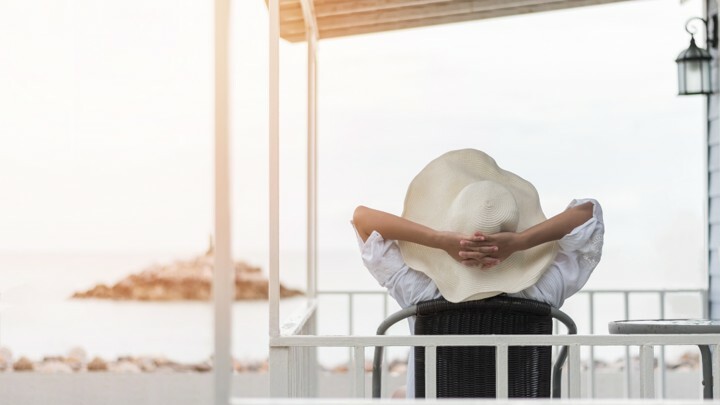 Let’s face it, when you’re in a beautiful setting, you need to be able to travel from room to room enjoying the natural sunlight, sunsets, and ocean setting. Aside from your living and dining spaces, incorporate small sitting areas all around your home. 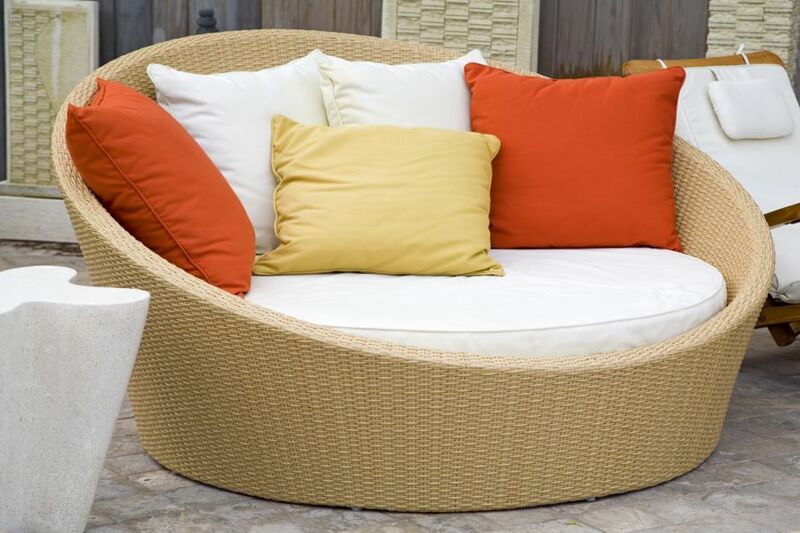 To begin, place indoor/outdoor sectionals and armchairs made of wicker or treated wood on porches and patios. For added color, simply add some contrasting pillows and blankets. Many beach homes have bay or deep-set windowsills. If you’re lucky enough to own a home with this feature, create a prime reading nook by adding a thick cushion. If possible, it’s best to keep outside distractions like the television, video games, and other media out of sight. You definitely don’t want to get sidetracked by the latest news or movies when you’re trying to take in the sights and sounds of your natural surroundings. 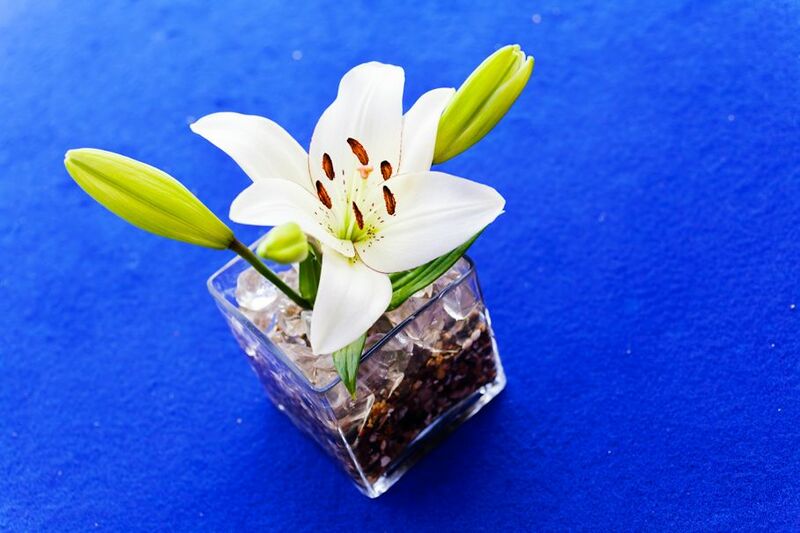 To break yourself away from the tube, avoid making it the centerpiece in your living room. 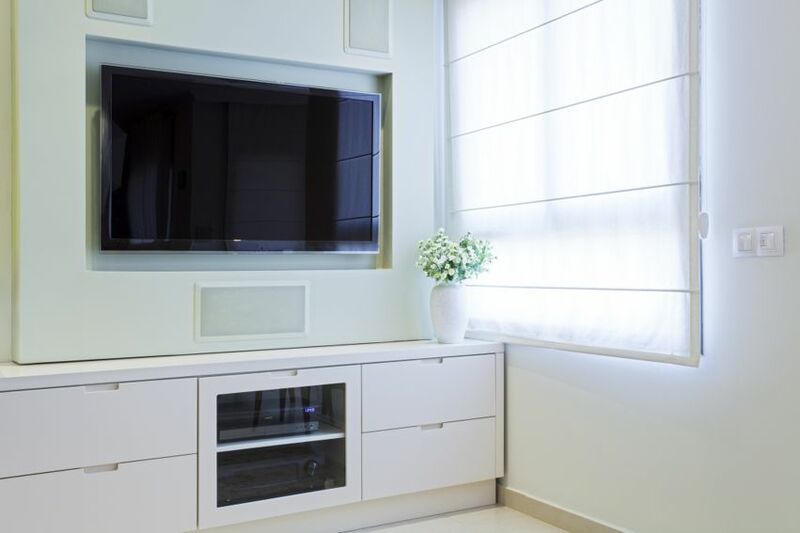 When a TV is a must-have for the family, properly disguise it using a mirror-covered wall mount, or use a distraction, such as a large picture or piece of art. Then, install built-in shelves or place a sturdy cabinet capable of hiding all those movies, games, and unwanted wires. Most beach homes feature hardwood flooring or tiles simply because it makes sand and saltwater cleanup a lot easier. These flooring options also help to create a close-to-nature feel that's perfect for a beach home. For hardwoods, select one with a durable polyurethane or European oil finish to guard the wood against strong UV rays. When choosing accents for your beach home, think natural. (Do you notice a pattern here?) If possible, feature stained wood furniture throughout the home. In addition, find a few walls, such as those behind your master bed or in your living room, to place distressed shiplap boards. This popular design trend is bound to add appeal and that rugged look many beach homeowners are looking for. It doesn’t take much to make your beach house perfect. After all, you don’t need much more than easy access to the beach and a place to sleep. However, a few extra touches can easily transform and improve your home so that family and visitors alike can sit back and get the full beach house experience.